While on a trip to New York this year, the temps suddenly dropped… and it was pretty darn chilly! 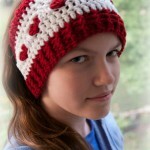 So what’s a crocheter to do? 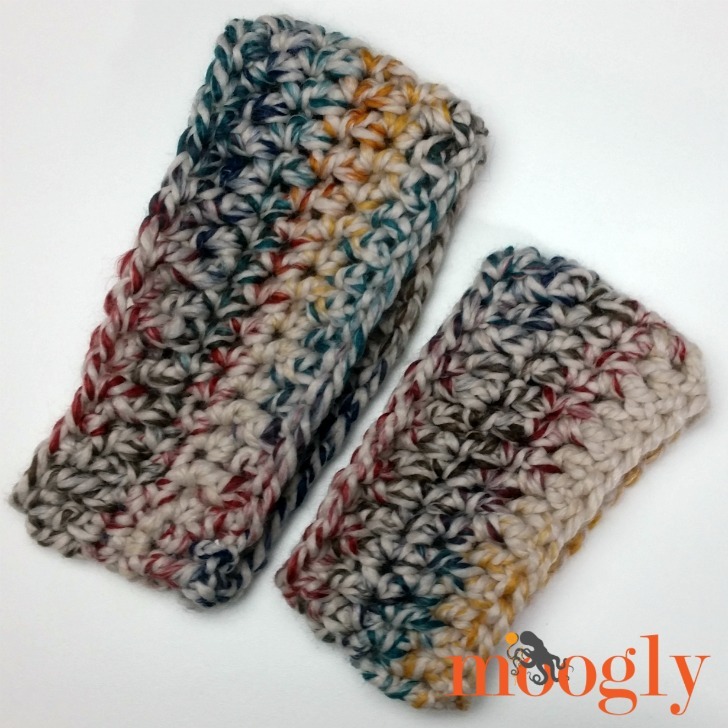 Pull out the yarn and whip up an earwarmer! 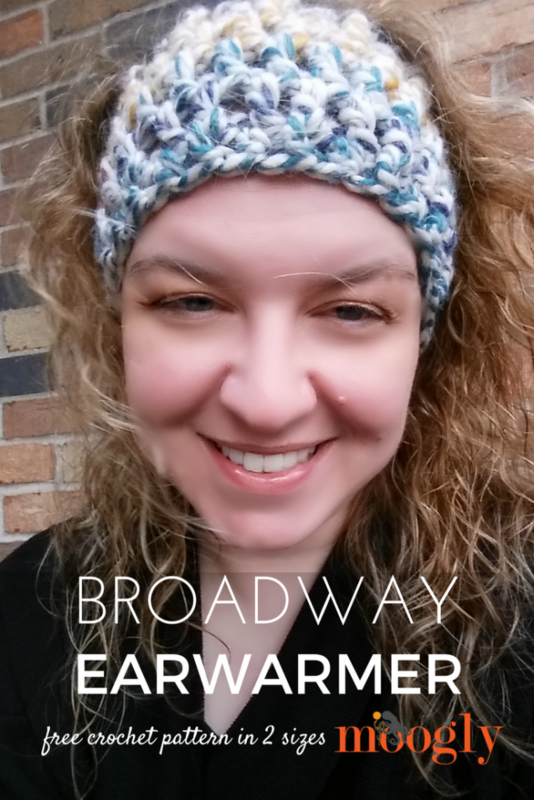 And it turned out so well, I just had to share the free crochet pattern for the Broadway Earwarmer! 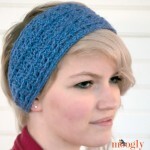 The Broadway Earwarmer was made using less that one skein of Lion Brand Wool-Ease Thick & Quick – in the colorway Hudson Bay! Since seeing all the signs for the big shows was such a fun part of my trip, I had to name the earwarmer after this American icon! 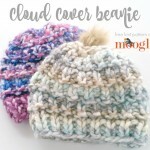 It’s a super simple pattern, stretchy and cozy and warm, that you can whip up in a “New York minute” – okay, more like half an hour, but that’s pretty darn quick! And after you make one for yourself, you’ll have enough yarn left to make a second one for a friend, or the child size one for a special child! Round 2: Ch 2 (does not count as a st throughout pattern), fpdc in 1st st, hdc in next st, *fpdc in next st, hdc in next st; repeat from * around, join. Round 3: Ch 1, sc in first 3 sts, hdc in next 5 sts, dc in next 12 sts, hdc in next 5 sts, sc in last 3 sts; join. Round 4: Ch 2, dc in each st around; join. Round 5: Ch 2, fpdc in 1st st, hdc in next st, *fpdc in next st, hdc in next st; repeat from * around, join and finish off. Use beginning long tail to close bottom of row (see linked tutorial above). Round 3 and 4: Ch 1, sc in first 3 sts, hdc in next 6 sts, dc in next 14 sts, hdc in next 6 sts, sc in last 3 sts; join. Round 5: Ch 2, dc in each st around; join. Round 6: Ch 2, fpdc in 1st st, hdc in next st, *fpdc in next st, hdc in next st; repeat from * around, join and finish off. Use beginning long tail to close bottom of row (see linked tutorial above). Easy peasy! 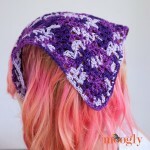 This pattern is so fast if you’re familiar with all the stitches! And if you’re not, be sure to check the links in the bullet points above for helpful tutorials. 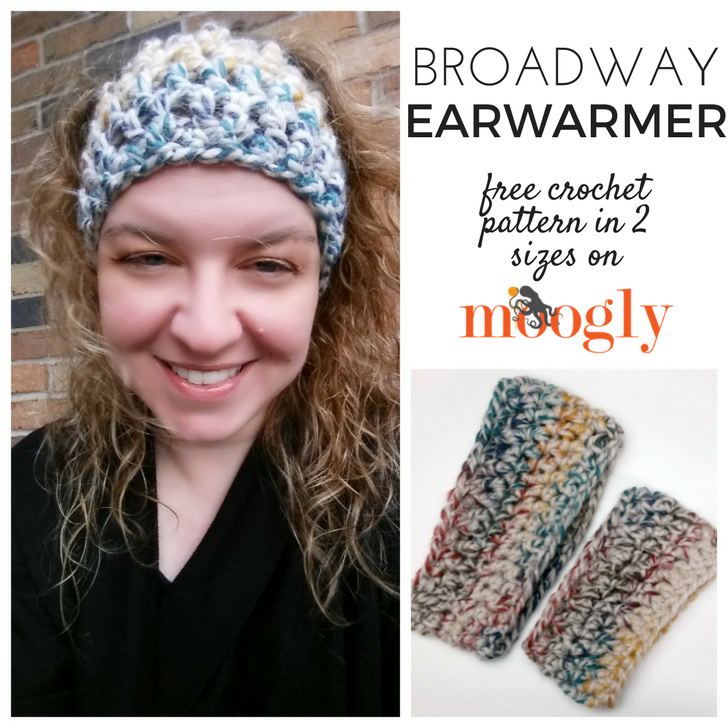 I hope you enjoy making the Broadway Earwarmer – it’s a fun pattern to make and wear, and the perfect project for craft fairs! Sorry you had to experience our frigid weather. We can go from 70 degrees to 25 degrees in a day(Nov19-20). Glad you made a super cute earwarmer though. 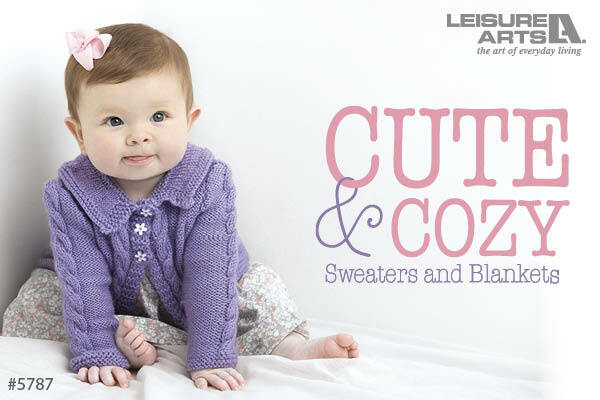 ADORABLE!!!!! Thank you for sharing! If I wanted to make it a little bigger, what number would I need to increase the foundation by? However many you need to get the size desired, you just have to decide whether to make them part of the tall sections or short sections! I’m pretty new to crocheting and I’m not understanding where to put the hdc. After I go around the post for the fpdc, where does the hdc go? I thought I was doing it right but at the end of round 2 I had WAY too many stitches! Thanks! Hi, thanks for the reply! It kind of does, but I’m still not exactly sure where the hdc should go since it is not a post stitch.